Out of all the cannabinoids in marijuana, cannabidiol (or CBD) has become one of the most sought after compounds due to its superior medicinal benefits. The most common medium for taking CBD is through an extract, such as tinctures and oils, which can be created from hemp. Compared to THC, the main psychoactive compound in cannabis, CBD heals the body passively without getting the patient high. According to a report from the British Journal of Clinical Pharmacology, the cannabinoid contains the following properties: anti-inflammatory, anti-oxidant, anti-cancer, anti-seizure and anti-depressant. Recently, CBD extracts received attention from the media for helping mitigate seizures in children diagnosed with Dravet syndrome. Traditional medicines, including clonazepam and diazepam, often leave such patients disconnected from their surroundings, significantly lowering the individual’s quality of life. It’s important to consider that CBD does not come with the same debilitating side effects as prescription meds. The compound is known to promote alertness with minimal overdose risks. Furthermore, it can counteract vomiting and nausea closely associated with conventional treatments. Hemp CBD oil is also suitable for patients suffering from pain-related diseases, such as headaches, cramps and arthritis. Interestingly, scientists have proven that CBD activates the same parts of the brain as opioids. It regulates the patient’s thresholds “through the modulation of RVM neuronal activity.” This suggests that the compound could be a viable option for individuals who are concerned about the recent spike in opioid overdoses across the United States. CBD is not limited to patients with crippling medical conditions. The compound in hemp oil is also beneficial for mainstream consumers with everyday ailments. In a study from the University of College London’s Clinical Psychopharmacology Unit, CBD was effective in reducing cigarette addiction in smokers. During the trial, 24 participants were randomly given an inhaler of CBD or a placebo. The individuals were asked to take a puff from the inhaler when they had an urge to smoke a cigarette. The results showed that those who were given CBD decreased their cigarette consumption by up to 40 percent. Individuals who are prone to acne may also find CBD useful in preventing skin breakouts and redness. First uncovered in the Journal of Clinical Investigation and the National Institute of Health, scientists discovered that the application of cannabidiol on human sebaceous glands helped reduce skin inflammation by hindering lipid synthesis. Unlike medical cannabis, hemp CBD oil is legal, and consumers do not need a license to purchase the extract from a store or online. Individuals who are interested in trying hemp oil should check out Elixinol’s CBD products. The company offers hemp oil extracts in the following mediums: tinctures, capsules, liposomes and oral applications. 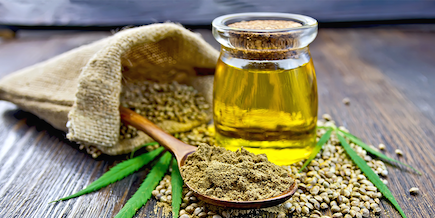 “With deep roots in the hemp industry, we have been focused on manufacturing and providing the highest quality CBD Hemp extracts in the world for over 3 decades,” said Paul Benhaim, CEO of Elixinol.